Read more about what the Professional Athletes Foundation says David Gergen, Pro Player Health Alliance and the American Sleep and Breathing Academy members are bringing to help the former NFL players across the country have a better night’s sleep. The full article can be found on the Professional Athletes Foundation website by clicking here. Meanwhile, many former players who used to throw around their weight to great effect on the field, are often obese after retirement and have a very high incidence of sleep apnea. Players who take their health to heart should not overlook the vital component of proper sleep in a healthy lifestyle. If you are a former player who is interested in learning more about the sleep program, contact the PAF’s Laura Stefanow at 800.372.2000. 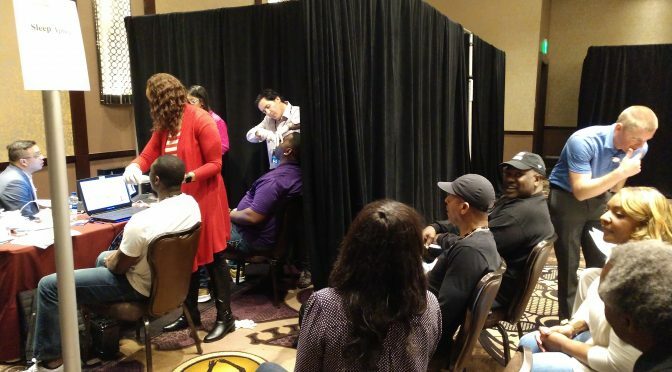 The National Football League Players Association (NFLPA) Former Players Convention is an annual meeting for retired NFL players who come together for days of “innovative professional and personal development workshops, networking, guest speakers and family fun”. A growing topic among the former player community, as well as the world population in recent years, has been health. So much so, that a health assessment planned and organized by Living Heart Foundation was included in the official agenda on two days of the three day conference where players were assessed for body composition, blood pressure, pulmonary function, hearing, sleep apnea and more. 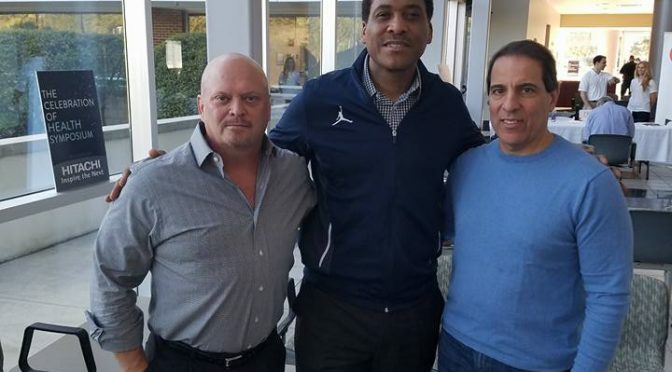 David Gergen, CEO of Pro Player Health Alliance (PPHA), was appointed by Andre Collins who is the Executive Director of the Players Athletes Foundation to oversee the sleep apnea component of the health assessments. Gergen selected a team of sleep dentists who need to meet a number of requirements to participate: They must be Diplomates of the American Sleep and Breathing Academy (ASBA), have a strong community presence and have the capability to treat Medicare patients. Dr. Shad Morris, DMD, led the team of ASBA Diplomates which included Dr. Ronald Rosenbaum, DMD, and Dr. Edward Hobbs, DDS. The board certified sleep physician who worked in collaboration with Dr. Morris was Dr. Cliff Molin. Project Rose provided the sleep testing equipment for the event and were able to provide a home sleep test to every player who were found to be at high risk of sleep apnea. Founded by Earl Campbell and Gary Baxter, Project Rose Sleep Program is a premier sleep program that test, treat and do research in the field of sleep for better health and wellness outcomes. The initial testing reports from this event found that 93% of former players who were tested came back positive for sleep apnea. Dr. Shad Morris impressed everyone who was involved with his dedication, professionalism and attention to detail as well as his demonstration of digital scanners. When asked why Dr. Morris was selected to be the point man for the health assessment, David Gergen said, “Shad has donated time and money to help elderly in his community with holiday church functions for years. He has explained to me that his grandparents forged the way for his future. 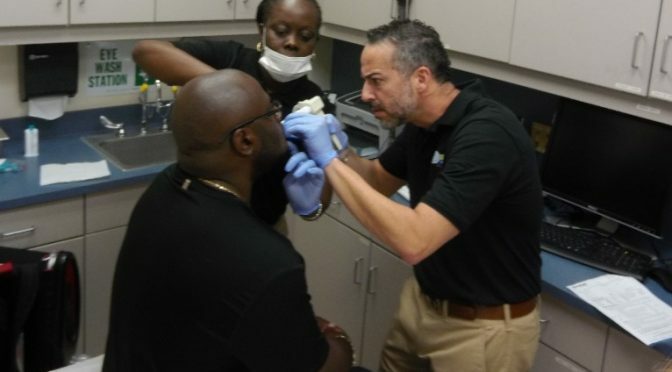 Although many dentists stay away from Medicare because the reimbursement isn’t good and contains so many regulations, Dr. Morris doesn’t mind because he believes in doing the right thing and helping those who worked hard to give him the opportunities to thrive today; giving back is the right thing to do. 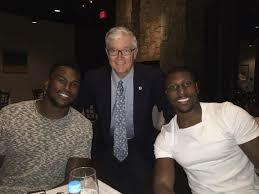 When I interviewed him for the position in December of 2017, he told me it’s not about the money it’s about successful outcomes, I knew he was the right guy to bring that same attitude to treating members of the NFLPA.” In a separate meeting with Gergen, Morris and NFL Hall of Fame CB Mike Haynes, Gergen mentioned Dr. Morris as the perfect candidate to be the sleep dentists for the newly relocated Las Vegas Raiders because of his thousands of successful outcomes. ASBA members are the only qualified sleep dentists to treat the former NFL players for obstructive sleep apnea when medically indicated. To attend the ASBA Annual Meeting and become a member of the ASBA, visit Sleep-Conference.Com or email David Gergen at gxployer@aol.com. The National Football League Players Association (NFLPA) chose Las Vegas, NV to host its annual meeting for player representatives March 2018. Along with usual discussions of player wages, benefits, and positional elections, the Living Heart Foundation offers a free health screening for former players who attend. Pro Player Health Alliance (PPHA) has covered the sleep/dental component of the screening for many years and has chosen to partner with the Project Rose Sleep Program as of late to provide the sleep testing. Founded by Earl Campbell and Gary Baxter, Project Rose Sleep Program is a premier sleep program that test, treat and do research in the field of sleep for better health and wellness outcomes. In 2017, more than 100 retired players took advantage of the screening at the NFLPA Annual Meeting where they were assessed for body composition, blood pressure, pulmonary function, hearing, sleep apnea, and more. American Sleep and Breathing Academy (ASBA) Diplomate Dr. Shad Morris, a practicing dentist in Nevada and Utah, has been selected as the head dentist for the screening. Dr. Morris has done an excellent job of treating former players in the past, but this will be his first main event with Living Heart Foundation, NFLPA and Pro Player Health Alliance. 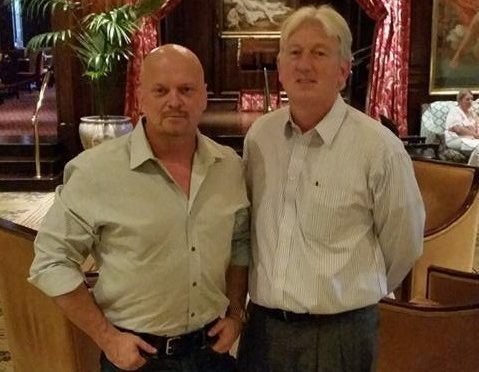 He has lectured for the ASBA over the years and built a fine reputation of being one of the most successful sleep dentists in the country with thousands of positive outcomes. Dr. Ronny Rosenbaum will be the second ASBA Diplomate helping screen the former players at PPHA’s sleep/dental station. Recently, Dr. Rosenbaum was the point dentist at the Pro Bowl Screening in Orlando, FL. He saw over 60 former players and began treatment for over 25 for their sleep apnea. The ASBA Annual Meeting, scheduled for April 13-14, 2018, in Las Vegas, NV, is the place to find this knowledge. With a laser-like focus on the business and clinical side of sleep medicine, it is the conference for dentists who are seriously interested in sleep medicine. Ultimately, dentists who are helping many patients, and succeeding financially, are not merely “dabbling” in sleep medicine. Instead, more than 50% of their practices are sleep. The CEO of the American Sleep and Breathing Academy has a clear mission: Educate and spread awareness of oral appliance therapy and sleep disorders to the public, and to the medical and dental professions. Serving as the ASBA’s CEO for the past five years, David Gergen has leveraged the power of athletic celebrity (helping hundreds of former NFL players get treated for sleep apnea) to shine a bright light on sleep disorders and grow the ASBA dental side from 0 to over 1,000 members. His enormous push in the industry and the ASBA’s massive amount of success is largely in part due to his distinguished pedigree. Gergen is no stranger to elite leadership, coming from a family lineage that has generals and officers in the U.S. military. His family ties also include his grandmother as the first female bank president in the U.S., prominent politicians who have served in presidential cabinets and Hall of Fame athletes in various sports/states. The Gergen family success doesn’t stop there, as clearly seen by his son Johnny’s Minnesota state record for the largest recorded fish ever caught in the history of the state, his daughter Lennon’s successful modeling career appearing as the Mello Yellow girl and television actress in multiple T.V commercials and his oldest son David, like his father, as a state champion in high school football. I can say with full confidence athleticism runs deep in the Gergen blood. I’ve seen David’s plaque signed by President Jimmy Carter recognizing him as a national record holder in the standing broad jump for the 11-12 year old age group in 1977, jumping 9’ 8 ¾”. That and many other state records he still holds today which have stood for over 30 years. His state championship in the 100 meter sprint is no small feat either. As a state champion football player and coach, he went on to being the only coach in Arizona state history to win a national championship, being presented with a plaque from the Arizona State Governor. Later in 2004, Gergen was presented with the Small Businessman of the Year award. Despite all of his triumphs, Gergen is still a humble person; it took me years of knowing him for him to ever mention any of this to me. When I thought, “All of this can’t possibly be true,” I was finally able to verify all the stories I had heard after being introduced to his best friends since childhood who he met through Mensa, a special group of children who have high IQ’s- Warren and Will Faulkner. Warren added to his accomplishments telling me, “I convinced him to play with us in the Mormon church league and we took the team all the way to the national championship. David’s shot was so consistent I had to name him the invincible armada, his mere presence gave strength to the weak. David was good for 15-20 points a game and just as many rebounds. Despite being 5’7” he could dunk a basketball. Hops like that are super natural.” Another thing I wasn’t aware of, Faulkners are direct descendants of Edward Faulkner who was commissioned by Brigham Young to colonize Arizona. 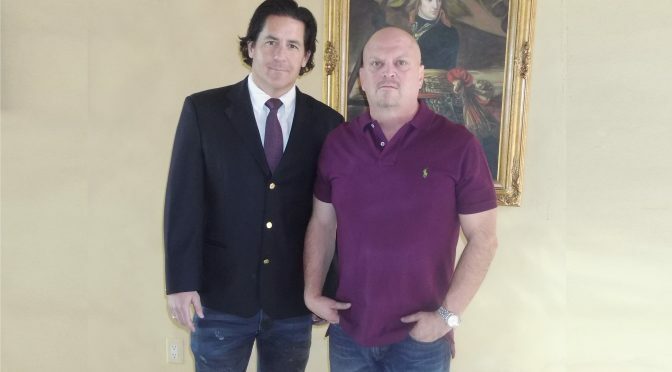 His loyalty to friends, family and business partners is unrivaled; David even hired Will Faulkner’s son, Skylar Faulkner, who is now his personal assistant. Skylar has said to me, “Working with David Gergen has shown me an entirely different side of success. He is a real winner, and it’s shows through everything he touches. The man has no fear whether it’s taking a business risk, a bar room brawl or defending his girl’s integrity, he’s down for the task. Gergen is the man you want on your team.” This is why when I heard about the hospital projects and the NFL player treatments, I needed to get the word out. Anyone who follows this man will win, that’s a fact. 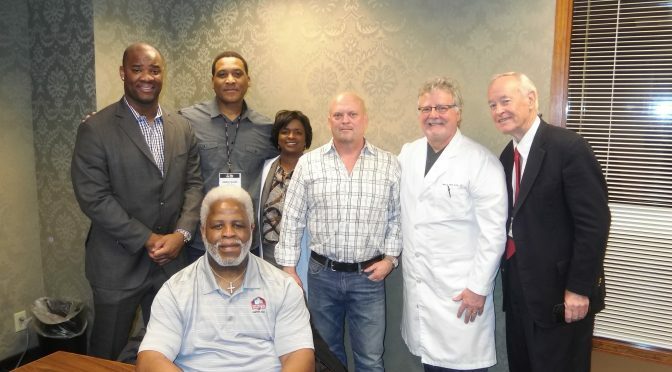 Come learn about how you can get hospitals near you referring you patients during a special dinner at the next ASBA study club with the NFL legend, Earl Campbell. To register for the next ASBA study club, click here. The American Sleep and Breathing Academy (ASBA) continues to forge new ground in dental sleep medicine. David Gergen and the team will be in Dallas, TX on May 17, 2017 to meet with executives overseeing a hospital chain made up of 16 hospitals regarding a groundbreaking program in sleep dentistry. 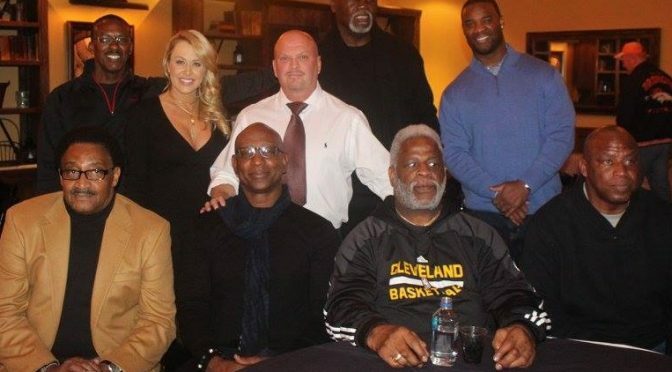 In addition, the meeting will include NFL Hall of Fame running back and “Prince of Texas” Earl Campbell who will be involved in doing advertisements for the program. 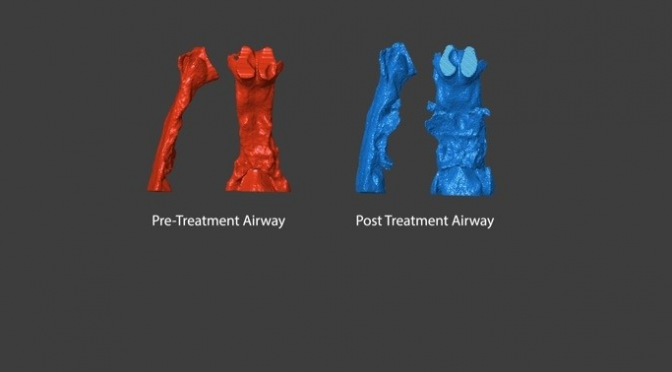 The hospitals are now going to, when medically indicated, send for oral appliance therapy (OAT) as the first line of defense in treating obstructive sleep apnea (OSA). The program, which will be operated by Pro Player Health Alliance (PPHA) and the ASBA, is going to integrate sleep dentists into hospitals. The only sleep dentists allowed to be included in the program by the hospitals will be ASBA members due to the higher standards of excellence that is a direct result of ASBA training. A key component of the program is the process which the dentists will be paid – the hospitals will bill insurance on behalf of the dentists to ensure higher reimbursements. This is another reason why ASBA members will become the top sleep dentists of the country in coming years. For more information, email David Gergen at gxployer@aol.com or call at 602-478-9713. The post VA Questioning “Recent Surge” in Sleep Apnea Compensation appeared first on Sleep Diagnosis and Therapy. The post Good news for HME Providers to grow their Sleep Business appeared first on Sleep Diagnosis and Therapy. 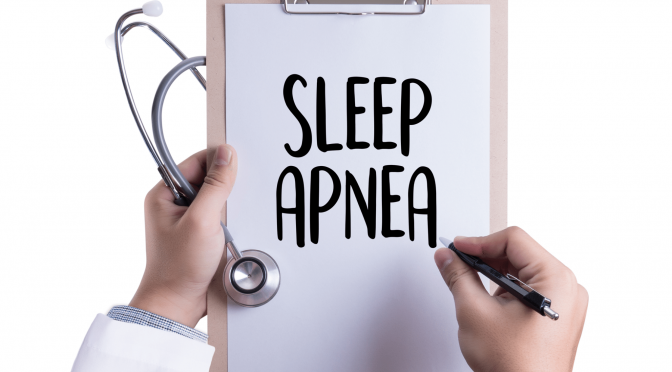 The post Federal Motor Carrier Safety Administration, the Medical Advisory Board, and The American Academy of Craniofacial Pain Devise Best Approach for Truckers with Sleep Apnea! appeared first on Sleep Diagnosis and Therapy.